Swedish band The Heard was formed in 2016 when Crucified Barbara split and three members of that band set out to establish a new project. They recruited the bass player from Deathstars to take on lead guitar and a model / burlesque performer as lead singer. The Heard made their live debut back in February and their first album. “The Island” was released via Despotz Records on 2nd November. The title track of the album is included on the Friday NI Rocks Show this week. When Crucified Barbara broke up in June 2016 after 18 years and four album releases, guitarist Klara Force, bass player Ida Evileye and drummer Nikki Wicked quickly moved to get another band together. They brought in Jonas ‘Skinny Disco’ Kangur from Deathstars to play lead guitar and Pepper Potemkin, who is best known as a burlesque performer, as the vocalist. The Heard soon started work on their debut album and were signed to Despotz earlier this year – the same label that had released the final album from Crucified Barbara back in 2014. 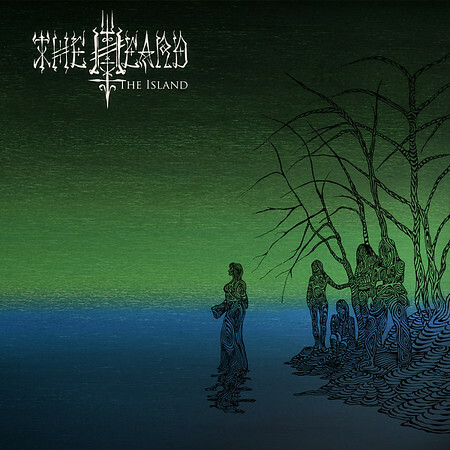 “The Island” is a concept album that focuses on the characters and places on a mysterious island in the Baltic Sea. Musically, it differs from what you would have expected from Crucified Barbara, but then this is a very different band.